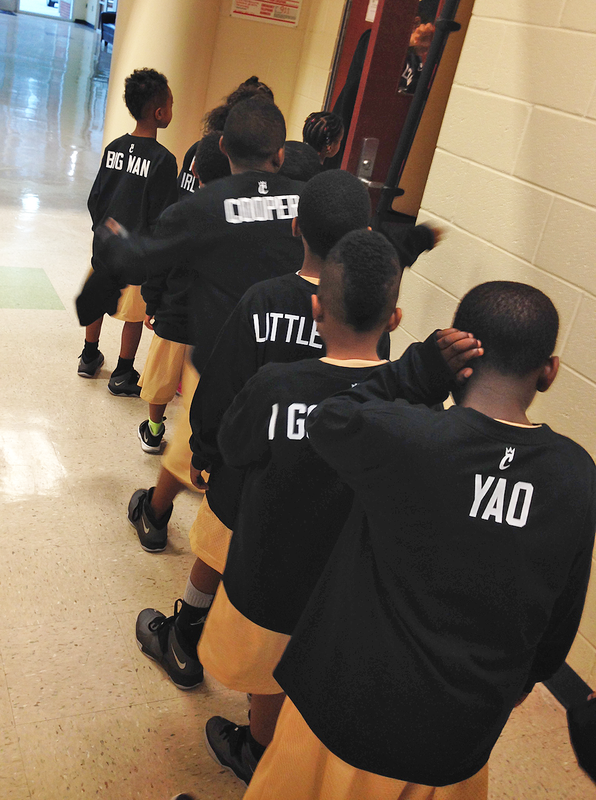 6 & Under Yellow Jackets Receive Tight-Knit Shirts — Cruvie Clothing Co. 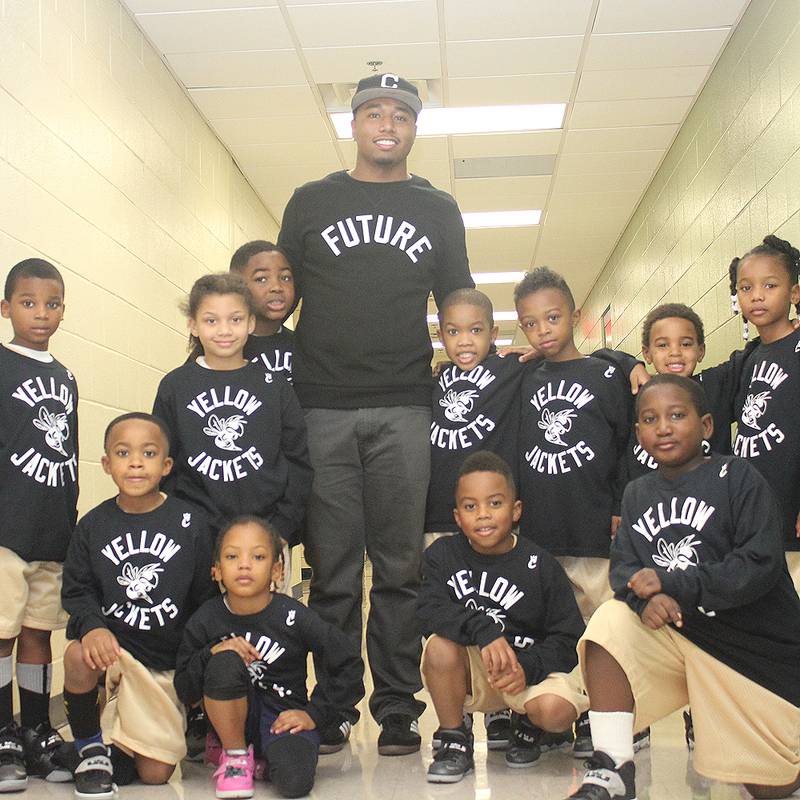 This past Saturday, I had the chance to give the Riverdale 6 & Under basketball team, the Yellow Jackets, their special "Tight-Knit" warm up shirts! They were so happy to receive them as I was to give them out. I look forward to following the Yellow Jackets throughout their season! They're a great group of kids led by Coach Reggie Cofield Jr., one of my bestfriends I grew up with in Riverdale, GA.
Me and the Riverdale Yellow Jackets basketball team. Yellow Jacket's huddle before their scrimmage.